All through college, I worked as a barista. I loved the job most of the time. You get to spend the quiet early, morning hours with all the coffee you need and see the friendly regulars that drop by every day. The coffee and quiet is great, but without the human element, the job would not be nearly as much fun. There were always ‘those’ mornings, though few and far between, when a few newer customers would come in after waking up on their bad side. Maybe they were late to work, or simply woke up on the wrong side of the bed, but a short, snappy request for coffee without eye contact is a hard thing to swallow. Austin Simms of Roanoke, VA, had a few too many of these mornings in a row. 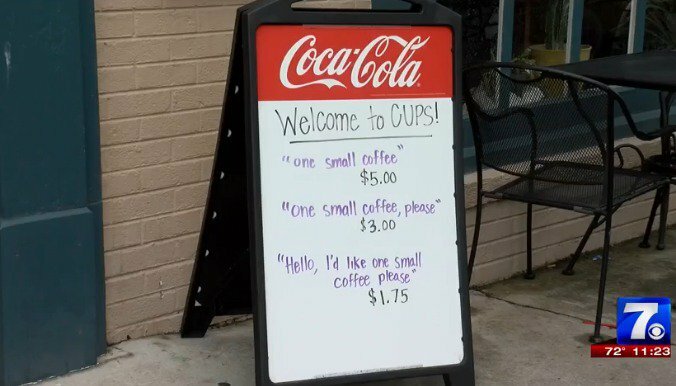 In an effort to help some customers with their manners, he placed a sign outside of CUPS Coffee & Tea indicating their new pricing policy. Simms reportedly put the sign out on Sunday and by Wednesday his shop was swarming with cameramen from multiple news stations looking to get the word out about the viral sign. 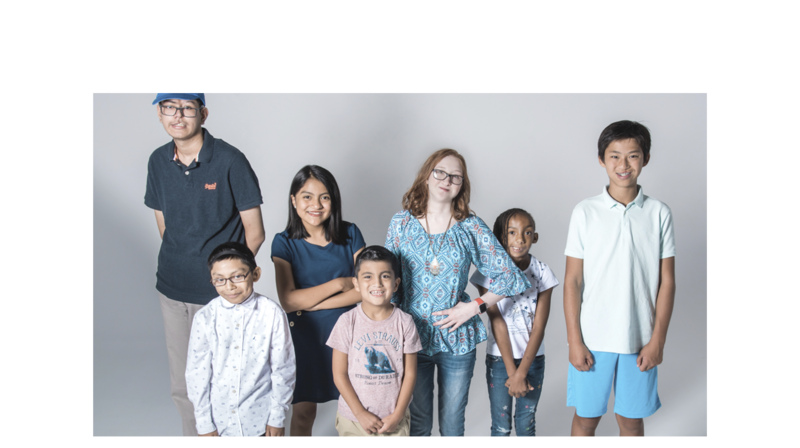 It’s meant to remind people of the value of those around them and to treat everyone with respect no matter their uniform, color, or creed. 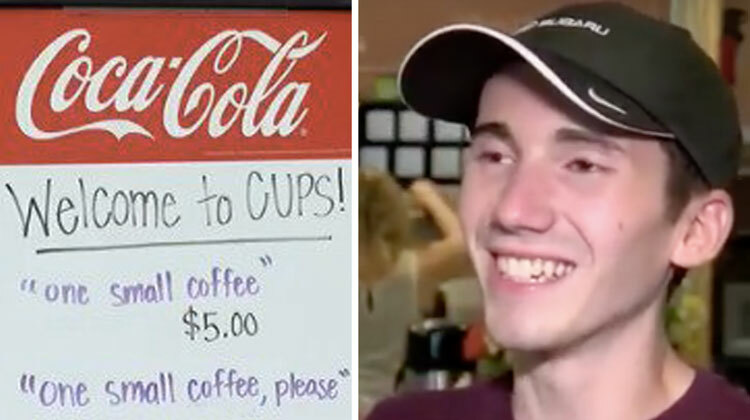 “I decided, because I need to solve all the injustices of the world, to start charging more for people who didn’t take the time to say hello and connect and realize we’re all people behind the counter,” Simms told WDBJ. Bravo to this young man and his small stand for justice in the world. Share his genius pricing policy today.